Did you ever think that the price you are paying to buy a smartphone could be cheaper? You've only dreamt about that kinda smartphone. Now, your dreams come true. 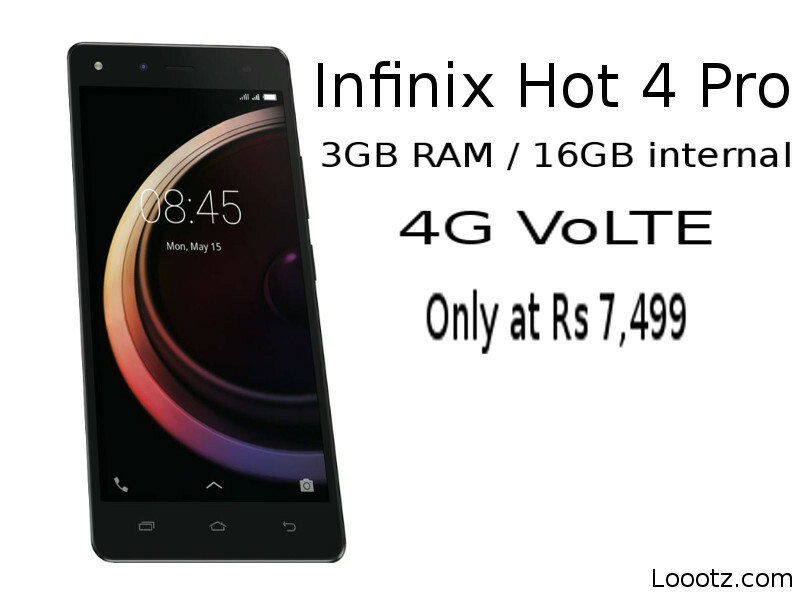 The Chinese Smartphone manufacturing company Infinix launched its first 4G smartphone only at Rs 7,499. In this price, You will feel the smoothness of 3GB RAM. The large screen of 5.5 inches gives the great experience of the Stunning display. Long lasting use of 4000 mAh battery. Other smartphones like; Redmi Note 4, Lenovo K6 Note, Nokia 6, etc costs you more than Rs 11000. I'm really the big fan of this Smartphone. The only stop you can buy this phone is Flipkart.